Custom and commissioned sculptures are available. Please contact the studio to discuss the scope and prices of custom works. 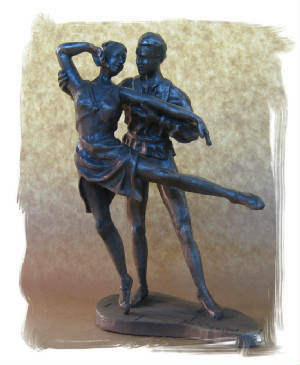 We can make one of a kind or series of sculptures in bronze or pewter with a variety of finishes available unique to your vision. Turn around times are as short as 2 weeks for an original ornament to 6 months or more for a life sized sculpture. Pricing is as varied as the subject matter.